Blog Are You Bringing In Enough Repeat Customers? Are You Bringing In Enough Repeat Customers? Repeat customers are a huge segment of customers within the restaurant industry. Your restaurant will not stay in business if you don’t have a healthy volume of returning customers. According to the advisory firm, Bain & Co., Customer loyalty leads to profits. Increasing customer retention by 5 percent boosts profits by 25 to 95 percent. That’s not a small number, and what is surprising is that not enough people or restaurateurs are taking advantage of it. It may be that in such a competitive industry that many restaurant owners just simply don’t have the time to think about the right type of loyalty program that would best benefit their business or restaurant. We outlined a few concepts below you should consider when implementing a successful loyalty program and enhancing your customer retention. Strong and engaging customer loyalty programs are built around customer data. Well-built POS systems can be an excellent source for collecting, retaining, and analyzing customer data. 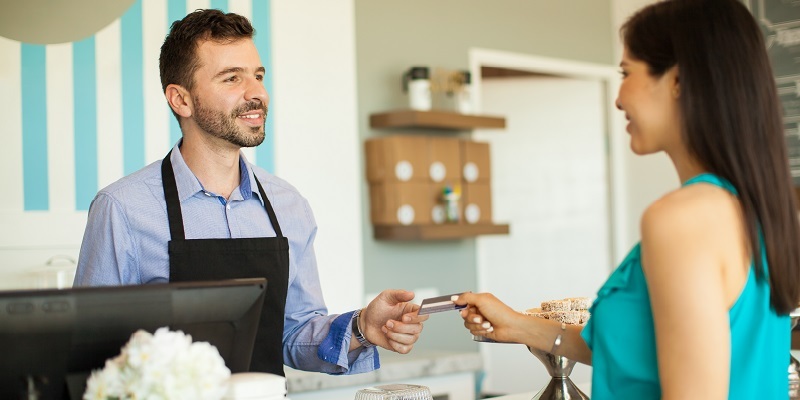 There are many loyalty programs out there, but integrating your POS system with your customer loyalty programs can make things easier and help you keep track of what’s working and what’s not. There are many POS providers who offer the capability of creating discounts and reward programs straight from the backend. Using a POS system can help you free up your time to build more positive and meaningful face-to-face relationships with your customers. It’s important to get to know your customers and see through their eyes on what they would like and benefit from at your restaurant. You should analyze what times of day have higher sales traffic, what’s your main demographic, and what your neighboring competitors are doing. You could promote discounts when you historically haven’t had a huge volume of customers. You can cater your rewards programs to certain age ranges or events as well. There are many restaurants that offer discounts to college students if they show their ID and others who offer Christmas or Thanksgiving specials. will come back and refer new customers. Have you ever qualified for a rewards program at a restaurant or retail store and it felt impossible to actually obtain the reward? People like feeling appreciated and important when it comes to your business. Having eligible customers jump through hoops to get your reward, won’t feel like a reward to them, but an obstacle or additional work. This will in turn decrease engagement, and you could end up losing customers. You can offer both online and in-person functionality for joining any loyalty programs. Today’s customers really enjoy convenience. With today’s technology, you can even make your loyalty program easily accessible through a mobile app. There are many integrated solutions that allow customer purchases to sync directly to their account. You don’t want to give away too much or too little when it comes to implementing a loyalty program. You want to do what’s best for the business while also getting the most engagement as possible from your customers. It’s important to ask yourself, what’s in it for the both of us. You don’t want to close down your restaurant because you gave away to many free meals, while you don’t want to offer a reward that no one is interested in. It’s important to do you research for the thing that will engage the customers and won’t make you go broke. People love hearing about a good deal or discount program. Customers also like to hear that your place of business is encouraging it. It doesn’t look as a good for a customer to come into your restaurant and they found one coupon in a newspaper about a discount or promotion, and they couldn’t find it anywhere in your restaurant being advertised or on any other advertising platform. Try sending out email campaigns as reminders for rewards members, and have your staff explain rewards programs for both new and returning guests. It’s very easy to get customers involved in well-thought reward programs. It’s a different story trying to keep them consistent with it. It can be a good idea to offer an initial reward to get people to sign up, and a second reward for getting them to continue with the program. Points are another alternative, but it’s not a good idea to go crazy with the amount or you could see a drop in engagement. Punch cards are also losing momentum. They are an old way of creating rewards, but can be easily lost. A mobile or digital punch might be more beneficial or even a bar code that people can carry with them on their keys. If you leave it 100% up to the customer, you might not see the return on investment you were looking for. Again, make sure you do your research when it comes to what loyalty program you decide to implement. Don’t be afraid to get creative with your rewards, but remember to always have your customer in mind. Ensure you have the right equipment to maintain a successful customer loyalty program. POS systems are the recommended medium for such undertakings. Remember these systems were designed to handle greater customer experiences by saving time and streamlining daily operations.